Let us recall November 8, 2004, when the US military launched its siege of Fallujah. The first thing done by the US military was to invade and occupy Fallujah General Hospital. Then, too, like this recent incident in Afghanistan, doctors, patients and visitors alike had their hands tied and they were laid on the ground, oftentimes face down, and held at gunpoint. During my first four trips to Iraq, I commonly encountered hospital staff who reported US military raids on their facilities. US soldiers regularly entered hospitals to search for wounded resistance fighters. Doctors from Fallujah General Hospital, as well as others who worked in clinics throughout the city during both US sieges of Fallujah in 2004, reported that US Marines obstructed their services and that US snipers intentionally targeted their clinics and ambulances. Dr. Ahmed, who also asked that only his first name be used because he feared US military reprisals, said, “The Americans shot out the lights in the front of our hospital. They prevented doctors from reaching the emergency unit at the hospital, and we quickly began to run out of supplies and much-needed medications.” He also stated that several times Marines kept the physicians in the residence building, thereby intentionally prohibiting them from entering the hospital to treat patients. Dr. Rashid told of another incident in which a US sniper shot an ambulance driver in the leg. The ambulance driver survived, but a man who came to his rescue was shot by a US sniper and died on the operating table after Dr. Rashid and others had worked to save him. “He was a volunteer working on the ambulance to help collect the wounded,” Dr. Rashid said sadly. During Truthout’s visit to the hospital in May 2004, two ambulances in the parking lot sat with bullet holes in their windshields, while others had bullet holes in their back doors and sides. Chuwader General Hospital in Sadr City also reported similar findings to Truthout, as did other hospitals throughout Baghdad. Speaking about the US military raid of the hospital in Afghanistan, UN spokesman Aleem Siddique said he was not aware of the details of the particular incident, but that international law requires the military to avoid operations in medical facilities. These are all indications of a US Empire in decline. Another recent sign of US desperation in Afghanistan was the bombing of two fuel tanker trucks that the Taliban had captured from NATO. US warplanes bombed the vehicles, from which impoverished local villagers were taking free gas, incinerating as many as 150 civilians, according to reports from villagers. In 2002 there were 5,200 US soldiers in Afghanistan. By December of this year, there will be 68,000. Compared to the same period in 2008, Taliban attacks on coalition forces using Improvised Explosive Devices (IEDs) has risen 114 percent. Compared to the same period in 2008, coalition deaths from IED attacks have increased sixfold. 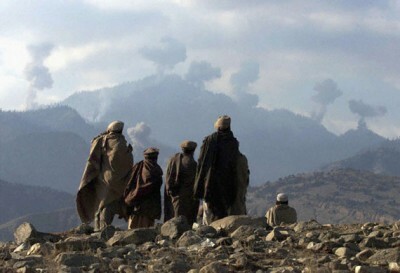 Overall Taliban attacks on coalition forces in the first five months of 2009, compared to the same period last year, have increased 59 percent. Genghis Khan could not hold onto Afghanistan. Neither will the United States, particularly when in its desperation to continue its illegal occupation, it tosses aside international law, along with its own Constitution.